The New Fortress is a part of the Komárno fortress system, the largest fortification of the Austro-Hungarian Monarchy. The construction of the oldest part of the Old Fortress goes back to the year 1546. It was built to provide defence against the Ottoman Empire and reinforced Between 1663-1673 by adding the New Fortress. The New Fortress can be entered through Leopold Gate, which was named after the Hungarian ruler Leopold I. 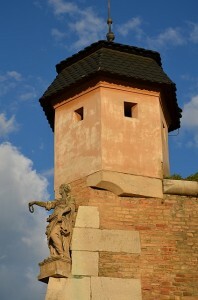 The symbol of the fortress’s impregnability – the statue of the „Stone Virgin” with an inscription „NEC ARTE, NEC MARTE” („Neither by trick nor force”), can be found not far from the Leopold Gate. The fortress system was completed in the 19th century and since has gradually lost its defending function. In the 20th century the Old and New Fortresses were used especially as army warehouses. The inconsiderate utilization by the occupying Soviet army from1968-91 was a contributing factor, which led to to their current bad condition. Fortress tours are organised by “PRO CASTELLO COMAROMIENSI”. For more information click here. 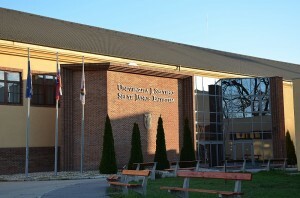 Komárno is the center for the Hungarian minority in Slovakia and since 2004 has also been the home of János Selye University where the main study language is Hungarian. The university consists of three facilities and offers study to approx. 2,400 students. 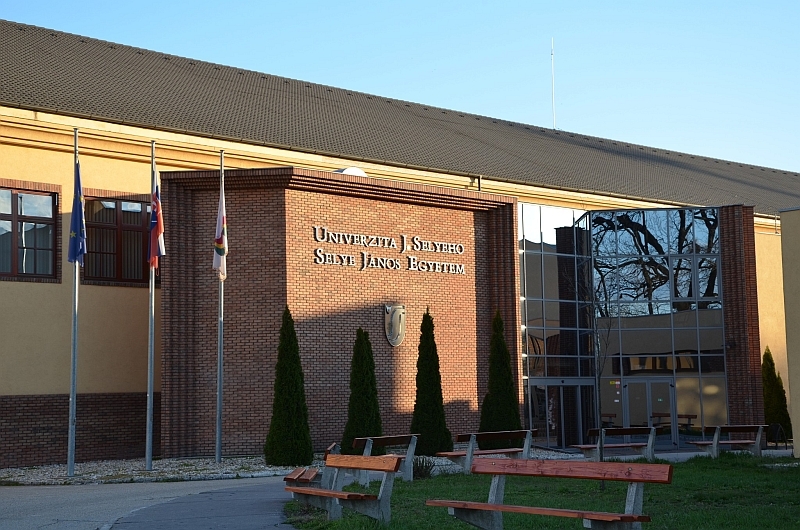 The University is named after the well-known endocrinologist J. Selye, who spent his childhood in Komárno.